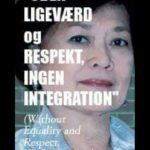 An interview with Filomenita Mongaya Hogsholm, founder of Babaylan Denmark, a multi-awarded and staunch advocate of women and migrants’ rights. She is the editor of “In de olde worlde: views of Filipino migrants in Europe.” She is currently the Country Representative of ENFiD-Denmark. 1. Could you tell us about yourself and your work with women and migrants? In 1988, I was assigned to cover the Nordic Forum, the biggest gathering of women in the Nordic countries which is held every 6 years. My Editor asked me, why I was not joining the fight for migrant women’s rights when I was one of the few who could communicate well in the host nation’s language. I never thought about it before. I was just content to facilitate what other women had to say because I wanted to help them in their fight for rights and legitimacy, a form of advocacy journalism. I realized that I could do both, express my own thoughts over migrant women empowerment and write about the movement whenever there was a need and space for it. From 1992 to1997, I became Vice-Chair of the multi-ethnic women organization SOLDUE, and the Editor of the first migrant women magazine with same name. My ultimate goal is to have Gender and Ethnic Equality and Empowerment. Since society at large is male-oriented, there is much to be done on behalf of the Migrant woman who is seen as weak. Oftentimes, invisible and backward! Not only by the migrant male but by women and men in the host society. In my experience, it was not enough to sit in government committees or be invited to conferences as speaker pushing the cause. The most empowering tool was to use media as platform, in our case, to have our own media, our own magazine to table the Agenda on our OWN terms as Migrant Women, not dictated to by others no matter how good their intentions are. My take on this issue, was and is, if you think we are good enough, then give us the same resources and we will show you why we are the Best in Mobilizing for ourselves. 2. Could you tell us about accomplishments that you consider significant in advancing women’s rights? What about things that didn’t go the way you wanted it. The first one was given to me by Grassroots Foundation in Denmark in 1994 for my work as Editor of SOLDUE. It was a spontaneous attempt to find a Voice in the Migration landscape in Denmark where immigrant women at that point in time were without a voice. Initially without financial help of any kind, I began to gather women’s articles, poems, short stories, profiles, interviews and other forms of expression and came up with 36-40 pages every other month. We shared the citation with the uncompromising magazine PRESS, which thrilled me to bits because I respected the small and in-depth investigative magazine. For Grassroots Foundation, the tiny SOLDUE was just as worthy and honourable as the hardhitting PRESS for the award. I also received a monetary reward of 25 000 DKK. I donated it back to our organisation to help finance 6 immigrant women (Pakistan, Sri Lanka, Iran, Argentina, Philippines and Trinidad) from SOLDUE, to participate in the UN Women’s Conference in 1995, in Huairou and Beijing. In Beijing we experienced enormous success, for example we had a standing room only hearing on Trafficking of 3rd world women and children with a Filipino nun as main speaker. It was a popular topic since attendees were sitting on the stairs for lack of room! It was a glorious beginning then we had seminars on media, immigrant youth and more. While most organizations had only one activity, we had a film premiere, fashion shows and publication of a special Beijing edition of our award winning magazine, SOLDUE. 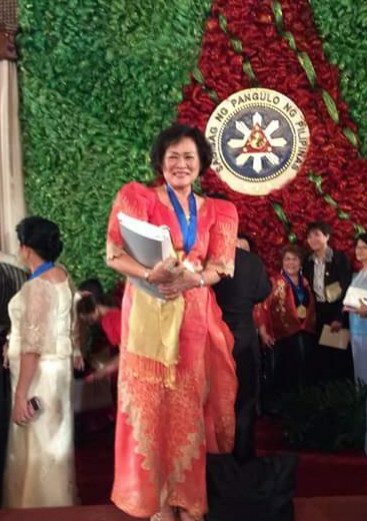 After Beijing, I left SOLDUE and went back to my Philippine roots by rejoining Babaylan Europe. I established Babaylan Denmark in 1997. Few years after, with a short detour with local radio, I co-published the first edition of ABAKADA relying on sponsorships. ABAKADA continued to be an A4 magazine with 4-colour covers and full colour photo illustrations until it ended in 2012. We are still hoping we can have ABAKADA on-line this year. 3. Do you think women’s movement has advanced in the past 25 years? In Europe? Philippines? I think the women’s movement in general, around the world has moved forward the last quarter of a century. The strongest indication is that more and more women are at the helm of their countries with most women politicians performing well like Angela Merkel. The English has another Woman Prime Minister although there can only be one Margaret Thatcher. During the last American election, a Woman President could have won and occupied the White House instead of Trump. In the Philippines, I see the gains in recent years dissipate with President Duterte, who does not apologise for his macho style of politics. His strong women in the cabinet ended up not being approved by the Commission on Appointments so, there is a dissatisfaction and a big gap from the women sector as to his gendered approach in filling his Cabinet. 4. How do you manage work and life balance, your transnational family and advocacy? What inspires you to continue your work? Most important in my life is my conviction that I am a sovereign being and one whose balancing act between being a family person, with time for one’s children and their children and being the society-engaged persona, impassioned about migration and for which I have taken up the cudgels for immigrant women: informing, monitoring and sometimes representing them like in Nordic Forum in Scandinavia. 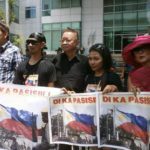 It was in this vein that I came upon the idea of compiling articles on Philippine Migration which I published in 2007 a 412 –pages book entitled “In de olde worlde: views of Filipino migrants in Europe.” With support from UNESCO. 5. What advice could you give to young women? Do we have to be advocates? Young women must always ask questions, the Whys and Wherefores. So, I have gotten to the bottom of my quest. Where do I go from here? It is not necessary to always DO, it is more important to THINK, search your CONVICTIONS, make your PRIORITIES and CHOOSE the right path. This might or might not lead to ADVOCACY. The important thing is to BELIEVE in something and then to COMMIT. Being female, we are blessed with the ability to multi-task, so useful when women’s inputs are so vital to the workings of society at large.